We serve Christ in the World by supporting The Extension (a separate organization) in their ministry to those who are chemically dependent and homeless. 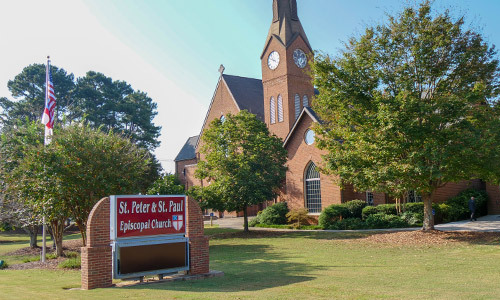 Teams from St. Peter & St. Paul go to The Extension’s men’s location every Wednesday and Friday morning to prepare breakfast, serve the men, pray with them and build relationships of hope and encouragement. These men are going through a residential recovery program to find sobriety and serenity and get a new start in life. We have been blessed to have former Extension participants who completed the program come back and help us serve breakfasts on the mornings we are there, sharing with others the hope they found. To get involved, contact Tom Martin at ttmartinhome@gmail.com. The mission of The Extension is to facilitate a transformation that empowers chemically dependent homeless men and women to become sober, accountable members of society and to serve as a recovery resource for the community. The right chance can transform lives. Another chance is what we offer at The Extension – a licensed residential recovery program serving homeless men and women of Cobb County who suffer from alcohol and other addictions. Our residents usually come to us by word of mouth but they are also referred to us by various Cobb County government services and nonprofits. Would-be residents undergo a rigorous assessment to assure that they are genuinely committed to starting a new chapter in their lives. Then begins the long, tough challenge of reclaiming their lives from the clutches of chemical dependency. In addition to substance abuse counseling, we provide residents with educational opportunities and life skills training. After more than twenty-five years of service in the Cobb community, we have built strong relationships with local businesses and organizations, relationships we draw on to place residents in jobs within weeks their arrival. When they have completed our program, residents eagerly give back to the Extension both financially and by serving as mentors and friends to newer residents. Above all, our alumni give back by demonstrating through their own lives that it is possible for former addicts to live healthy productive lives. 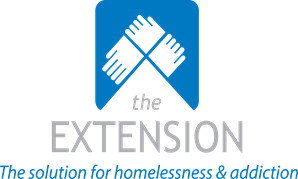 At The Extension, we are proud to be in the business of giving people who are determined to change their lives a realistic chance of doing so. For them, it is the chance of a lifetime. Over time, the Extension has a recovery rate of approximately 60% – one of the highest success levels of this type of program in the United States.